It is of the utmost importance that before making an expensive yacht purchase that the vessel receives a complete pre-purchase inspection, and condition survey by a professional marine inspector in Miami. This marine inspection is quite in-depth, and is beneficial in helping the potential buyer make an educated decision as whether or not to make the deal. A survey report from the marine inspector in Miami can also play a role as a bargaining chip when it comes down to haggling over the price of the vessel. Any repairs found to be needed by the marine inspector can alert the buyer to the true condition of the yacht hence; justifying a lower offer without insulting the seller. Let’s face it! Insulting an owner’s vessel is even worse than insulting his wife or children! It’s best to have the report from the marine inspector in Miami to justify the offer. Simex International – Marine Surveyors in Miami provides complete pre-purchase inspection and condition surveys, as well as other marine services. Every vessel must be covered by insurance in order to legally hit the water, and every company requires a complete marine insurance survey performed by a Miami marine inspector. Unfortunately, there is no cut and dry rule that all insurance companies require the same type of survey. Each company seems to have their own survey requirements. While some demand that the vessel be inspected out of the water, many of them want the marine inspector to do it rigged or in the water. A professional marine inspector at Simex International – Marine Surveyors in Miami can perform any type of marine insurance survey required by the carrier. When it comes to locating a marine inspector Miami certainly has plenty of them out there. As in any type of industry, some inspectors are better and more thorough than others. It’s essential that the marine inspector in Miami is extremely meticulous while performing any vessel inspection. The more thorough the marine inspection, the more accurate and reliable the survey report will be for the vessel and owner. Accuracy is essential in all marine surveys however; it is especially important after an accident or storm and a proper damage survey must be sent to the insurance company. Simex International – Marine Surveyors provides a meticulous marine inspector for all surveys in Miami. Simex International – Marine Surveyors in Miami offers a highly professional marine inspector for vessel owners. Whether you need a pre-purchase inspection, marine insurance evaluation survey or marine customs surveys, Simex International – Marine Surveyors in Miami is available to help. 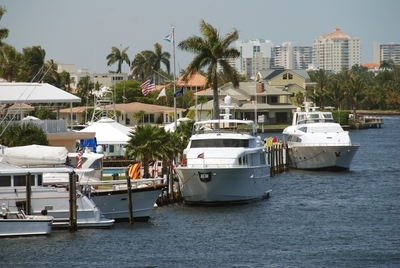 Call 954-854-8181 to schedule an appointment with a full service marine inspector in Miami.